The broader S&P and Nasdaq indices are higher today. The Nasdaq has been down only 2 days this month so far. 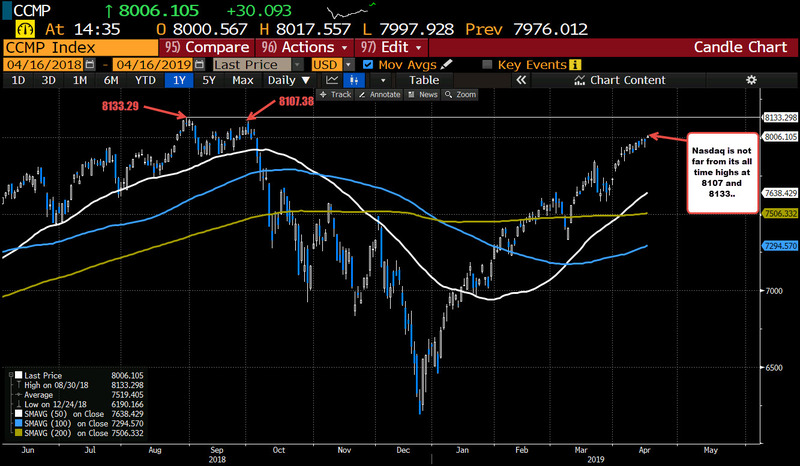 As the price goes higher, the indices are getting closer to the all time highs reached in 2018. For the Nasdaq the swing highs were at 8107.38 and 8133.29. The high price today reached 8017.55. 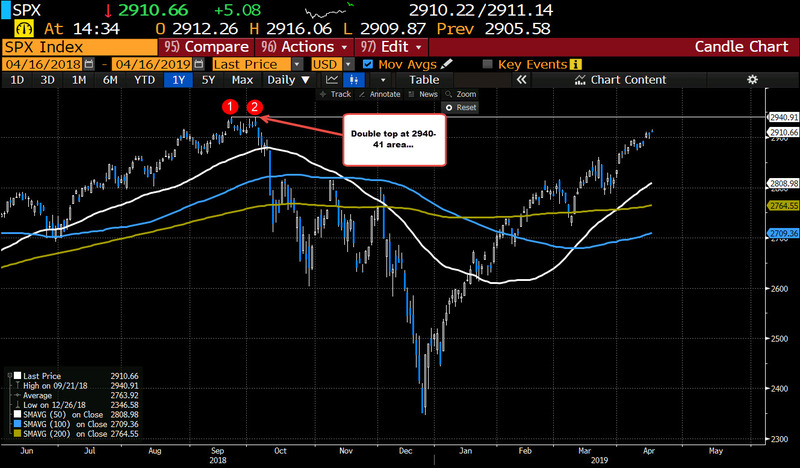 The S&P index all time high reached 2940.91. The high today reached 2916.06. We are coming off those highs as I type but still are positive on the day. The shares today are boosted by J&J which reported better earnings and gave a positive outlook going forward. Blackstone's Larry Fink said today on CNBC that he thinks there might be a "melt-up" in stocks as investors are underinvested. Negatives remain US/China, Brexit, global trade in general. The market is hoping the 2H is also better than the first. 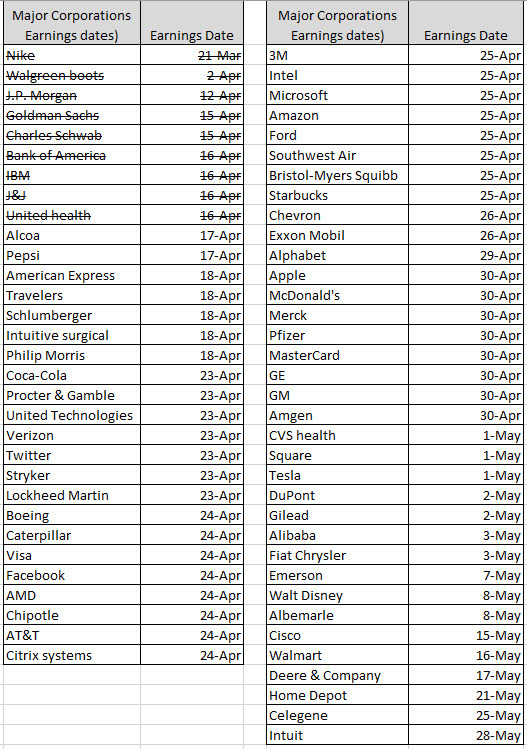 The earnings season is just underway with lots of major corporations yet to report. So there will be good. There will be bad, but the market will take it one earning at a time and JPM Chase and Citigroup were better on the financial side. As mentioned J&J (a Dow stock) was also more positive.